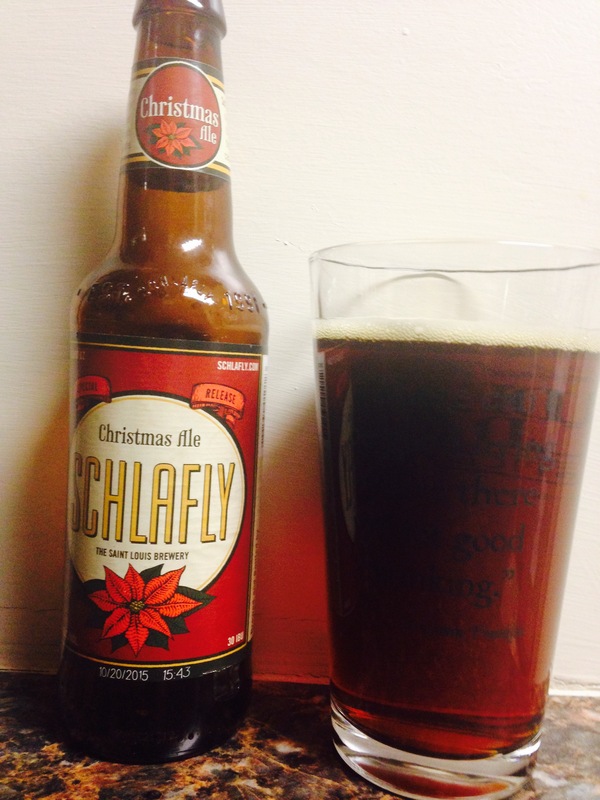 Schlafly special release “Christmas Ale” is here! They make a darn good seasonal pumpkin beer so I got excited when I saw there Christmas release. It smells like banana bread, it’s dark and warm looking and packs an 8% alc content! Jennifer said it tastes “metallic” to her, I taste cherries myself. Either way it’s definitely not as good as their pumpkin. Worth a shot for the high alc content alone, enjoy.